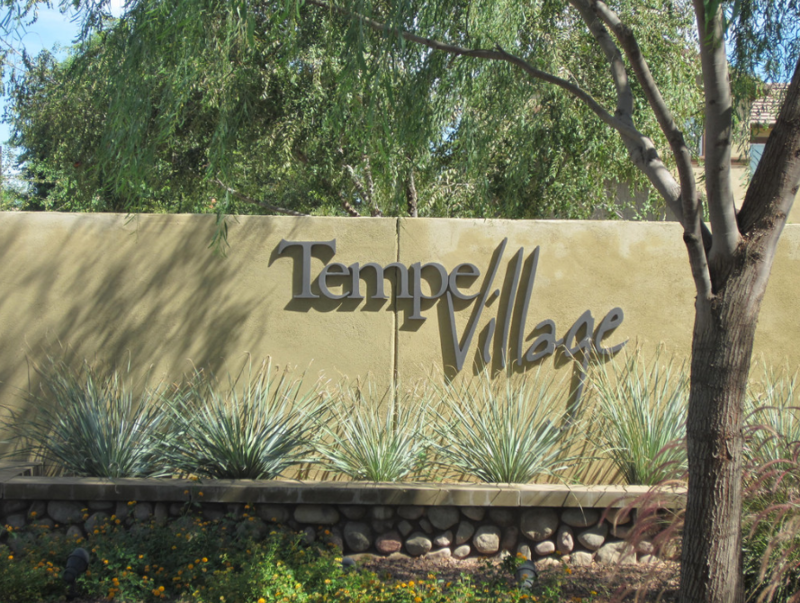 Tempe Village is a very nice, gated community located in SouthWest Tempe near the intersection of Ray and Priest. Talk about convenient! 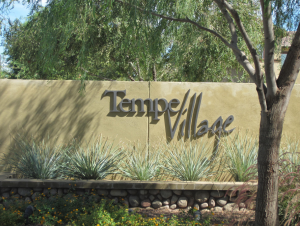 Tempe Village is minutes from tons of shopping, amazing restaurants, easy freeway access, Sky harbor International Airport, major job centers and many quality of life activities of hiking, biking, sports facilities etc. The neighborhood consists of 120 lots built from 2007 – 2011 with home sites averaging approximately 2366 square feet. 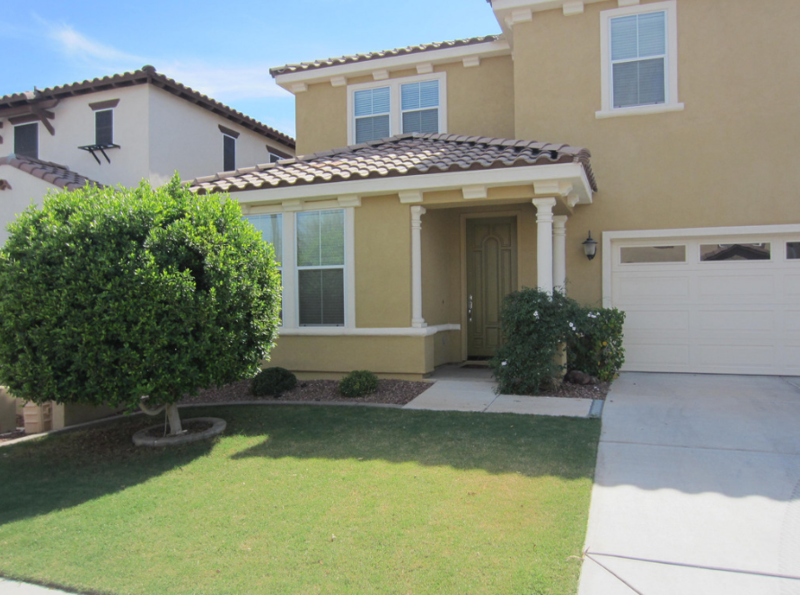 Most of the homes in Tempe Village are 2 story homes with 2-car garages. For many people looking to live in Tempe, it is difficult to fine “newer” construction as much of the city consists of more “mature” and “established” areas. While the older homes can be great, people are attracted to Tempe Village for the newer style, the easy to care for yards, the nice community park and the peace of mind that comes with living in a nice, gated community. Busy professionals, ASU employees, families, empty nesters can all typically agree that living in Tempe Village offers a great lifestyle. Check out the home styles, the community park, the greenbelt area and see if this is a lifestyle that fits your needs. With only 120 lots built in Tempe Village, there isn’t always something available for sale. 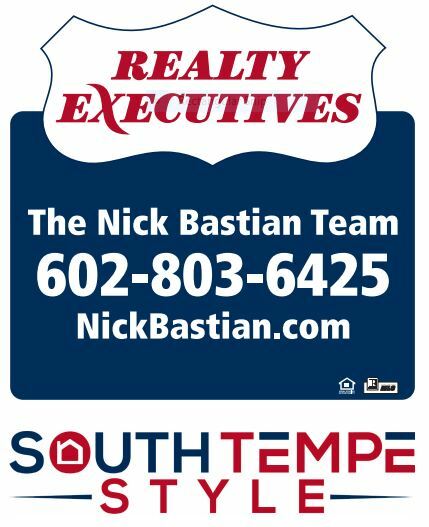 Please feel free to contact us to be notified of all homes that come up for sale in this beautiful community.